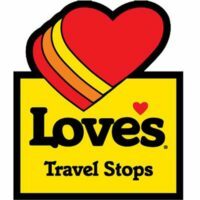 Love’s Travel Stops is a privately owned chain of gas stations and convenience stores in over 40 states. It has more than 15,000 employees nationwide. It was founded by Tom Love in 1964 with their first service station in Watonga, Oklahoma. Aside from fuel products and the usual items in convenience stores, it also offers other amenities such as fast food chains, trucking supplies, and showers. Love’s Family of Companies also owns Gemini Motor Transport which operates a fleet of more than 550 trucks, Musket Corporation, also a logistics service provider, and a fuel company called Trillium CNG. It offers a comprehensive compensation and benefits package to its employees. They enjoy paid vacation, employee discounts, healthcare and life insurance, paid trainings and 401k retirement plan. Employees love working in this company because it provides competitive career opportunities and professional growth. They maintain a positive and highly-efficient work environment while allowing the staff to maintain their work-life balance. How old do you have to be to work at Love’s? Applicants must be at least 18 years of age and above to be considered eligible for all positions in this company including attendant and technician jobs. Gas Station Attendants – Their main responsibility is to assist customers in fueling up their vehicles. They are also in charge of collecting cash payments and processing credit card payments. They are expected to consistently provide excellent customer service. Convenience Store Cashiers – Their key duties involve collecting cash and credit card payments from customers. They should also be able to balance the cash register drawer every end of the shift. Pipeline Technicians – They are in charge of the maintenance of oil or gas pipeline system and ensure that the facility is fully functional. They also oversee operations for repair and replacement of parts whenever necessary. Storage Helpers – They are tasked to offload newly delivered stocks, sort and shelf the items orderly. They also maintain the safety and cleanliness of the storage. Other common jobs in this company are: Line Cook, Server, Restaurant Manager, Store Manager, Facility Operator, Fuel Station Clerk, Maintenance Mechanic, and Finance Specialist. The popular travel stop company hosts an online job application site where jobseekers can easily browse available jobs, job descriptions and requirements. They can also create their own account and sign up for job alerts. Love’s prefer that its potential employees apply online since this is faster and more convenient. By registering in their online careers section, they can apply for multiple positions that match their qualifications. In filling up the application form, applicants are advised to be attentive to details especially with their grammar and spelling. It is also recommended to use only one email address throughout the whole hiring process to avoid confusion. To write an outstanding resume, applicants are encouraged to limit the document to only up to two pages at most. When submitting online, it is advisable to convert it to PDF file to avoid formatting incompatibility. In preparing for an interview, jobseekers should ensure that they are well-equipped with information about the company, the job applied for, and the responsibilities it entails. The work culture at Love’ is centered on family values. They focus on providing excellent customer service, exhibiting integrity in all activities and creating new opportunities through innovative thinking. The company has recently undertaken a series of new service location openings including its subsidiaries. New locations are in Colorado, West Siloam Springs, Oklahoma, Gulfport, Mississippi, Port Barre Louisiana, and Terre Haute, Indiana, among the most recent ones. Love’s is known for its sponsorships in Oklahoma City Thunder, Energy, and Dodgers as well as with the Civic Center, deadCENTER Film Festival and Oklahoma City Zoo. The company is well-known for its generous donations to charities mainly for children with terminal illness partnering with Children’s Miracle Network Hospitals. They also provide financial assistance to victims of natural disasters.